Epidemiological studies in the Indian subcontinent show a steady increase in the mortality rates associated with genetic diseases. Genes are highly implicated as a cause of defects, disease, and disorders in many individuals; and this disorders can develop at any age as an individual interacts with the environment. A critical determinant to the prognosis and outcome of hereditary conditions, chronic illness and idiosyncratic conditions is early diagnosis and initiation of prophylactic management in good time. Development in science specifically the medical field seeks to alleviate human suffering and generally improve quality of life. The genetic testing breakthrough invention in diagnostics intended to lower speculations and enhance probability level thus surety while dealing with given conditions. Genetic conditions are commonly asymptomatic and only explode at advanced stages when little or no management effort is productive. Multifactorial heredity conditions such as Diabetes mellitus and chromosomal conditions for instance Hemophilia manifest either at late stages life or occasionally and accurate identification of such conditions is usually tricky. Genetic testing is a new medical testing concept that helps in identifying changes or deviations in chromosomes, genes or proteins. This way, you can rule out suspected genetic defects or confirm predisposition and mount preventive measures; you stop the guesswork, start knowing and take the necessary steps. What are the advantages of genetic testing? Genetic testing helps avoid uncertainty about health situations: family history has an integral role in some disease patterns and just by being born in a given family link one to getting such undesirable conditions in future, such circumstances causes a lot of anxiety and even depression in people. Genetic testing will serve to relieve such fears and tension. You can make informed medical and lifestyle decisions following Genetic testing; genetic testing results after confirmation of a particular condition will lead you to a genetic counselor who will guide you to the appropriate management course that will help save your life. Guidance on diet, exercise and lifestyle changes have proven critical in minimizing suffering and prolonging life. It offers you the chance to enlighten your family members of the potential predisposition: through precise genetic testing results; you can get a glimpse of the probability of a family member getting a given gene-linked disorder. It provides insight into the bigger picture. Genetic testing will identify mutations and defects that cause insidious injuries not easily seen by other test techniques. It ultimately helps in the diagnosis of genetic conditions, and this is useful in cancer management. 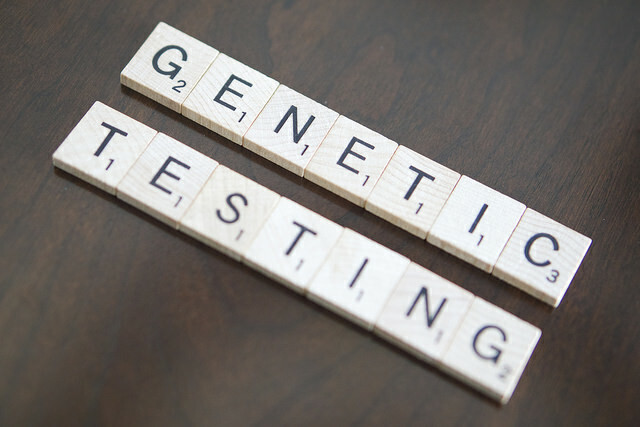 Why is it important to do genetic testing? Genetic testing is often a complex and costly medical testing that may be necessary and significantly impacts on one’s life in certain circumstances. Determining the risk of developing a disease, screening and medical treatment or therapy monitoring are some of the critical roles genetic testing plays in the healthcare systems. It can take different dynamics depending on the intended purpose, examples of necessary genetic testing currently performed at different levels include; newborn screening, diagnostic testing, carrier testing predictive testing and many more. All these tests are requested formally, and consent is usually inevitable as the test results are generally life-changing and you must be ready to accept any outcome before committing. Pharmacogenetics a branch of genetic testing will help you identify allergies to drugs, appropriate drugs to use and optimal drug use specifications. This information is crucial in modifying your personalized medical care, especially in chronic and self-managed illnesses. The choice to take genetic testing should be made after meticulous consideration and candid look at both sides of the flip. While it is coated with many benefits, genetic testing remains to be a risky adventure with large and handsome returns. Emotional disturbances; the process of taking the testing and anticipating the results is full of mixed emotions including fear and anxiety since the test results can either be pleasant or unpleasant. It is therefore wise to think of how you and your family will receive the results and handle any pressures that may come with the results. What next after confirmatory test? Although the genetic tests will confirm the diagnosis of a defect, some genetic conditions are generally non-curable, and only minimal intervention is possible; this will subject the patient to more misery as they remain pessimistic about their conditions. Genetic testing is likely to reveal your paternity identity since it involves massive DNA sequencing. Such information may be warranted for privacy purposes. There is a danger of genetic testing influencing your insurance policy since certain conditions covered by the medical insurance may be attributable to genetic factors. What does a genetic test show? Even though it involves many implications be it financial or emotional, people have still well embraced genetic testing. So what is it that drive people to sail through this daring experience? The test involves complex DNA sequencing, and usually, the test results are complicated requiring specialist intervention. Geneticists and genetic counselor are better placed to explain the DNA derived information to you. Such information has an impact on you, your family as well as blood relatives. Inherited cause of disease information in a population can be found from genetic tests. Examples of disease that can be detected using this technique include; breast cancers, celiac disease, bipolar disorder, and obesity. Genetic testing is a lifetime decision which once made can never be reversed. Before choosing to undertake this test, a full understanding of the consequences is paramount. Committing to this course will enable you to have the power that comes with knowing how best you handle information arising from the genetic test will either shape or destroy you plus your family. Therefore, rigorous self-talk and open discussion with your family is essential in deciding on whether or not to do the test. However, the benefits speak loud enough, and you have no reason to be left out. PreviousHow hard is Biomedical Engineering? 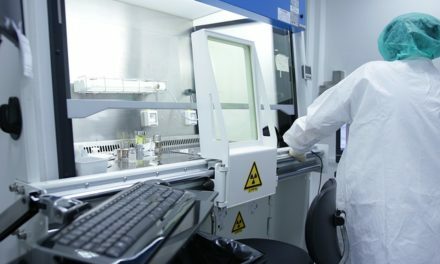 How is Biotechnology Used in Medicine?